The new-for-2018 Volvo XC60 is a trimmer, fitter, more muscular version of the vehicle thousands of Americans fell in love with over the past decade. 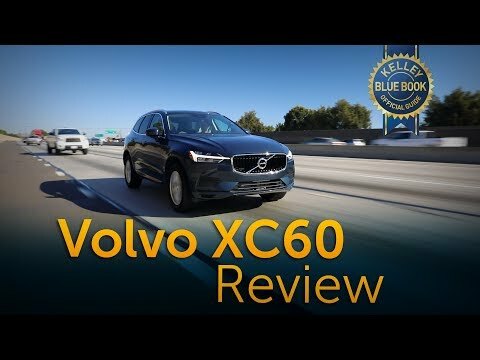 It retains all the previous XC60's strengths, including its good looks, adds some new luxurious features, and updates the characteristics that made it a favorite in the hot-selling category. Just about as safe as it gets. The 2018 Volvo xc60 is the best car I have ever driven. It seems about as safe as a car can be. My favorite safety features are its parking assist, lane control, blind spot warning lights, and the car stopped itself when my partner almost crashed it. I love its comfort features such as the heated steering wheel and extensive seat adjustment options including the placement of lumbar support. I feel that this car is very reliable, high performing, and user friendly. My only real complaint about the car so far is that the speakers that come with the car could be a bit louder, but I may have a tendency to listen to louder music in the car than many. The new Volvo SUV review; xc40 model. Absolutely no issues, very comfortable and so many great safety features. Love the mirror lights for upcoming cars and the auto cruise is a nice freeway touch. The headrests on the back seat folding with a press of a button is wonderful. The manual could be a bit more forthcoming. To purchase another down the road will make the international trip to view the factory. Best decision of my life was choosing this vehicle for me and my family. I love everything on this vehicle. I safe, comfortable, and convenient. Spacious interior and good for my family. I really can think in another vehicle better that this one. If you are looking for a family vehicle, this is the best one to choose from. I look a many other SUVs and this the one with everything on it.